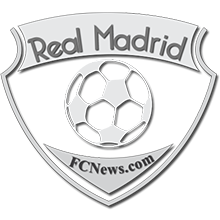 Home / Opinion / Where Does James Rodriguez Fit In At Real? 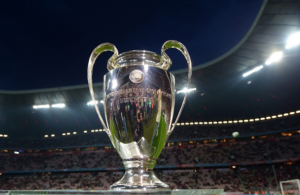 Real Madrid’s victory in the 2013 Champions League Final in May constituted the fulfilment of the ambition that Florentino Perez had held closest to his heart for more than a decade after that famous Zidane volley dispatched Leverkusen in the 2002 Final. The achievement of la decima was a validation of everything that Real Madrid stand for as the so-called, Kings of Europe;and to win their tenth Champions League under such dramatic circumstances at the expense of Atletico was almost too good to be true. What now for a club and for a squad that seems to have it all? It is an enviable difficulty to have; nevertheless it is a problem that Perez and Ancelotti need to overcome ahead of the new campaign. How do you fire-up a squad that has just achieved what Ronaldo and Bale et al did in Lisbon? How do you improve upon a squad that at times last season seemed almost perfect? In Perez’s eyes the answer became clear during the World Cup: sign the latest star talent and reinvigorate the fans and players by maintaining what the he refers to as the “ilusión.”Perez’s concept of ilusión is perhaps best surmised as that sense of hope, excitement, expectation that comes with Real Madrid’s aura of galatico-type celebrity. 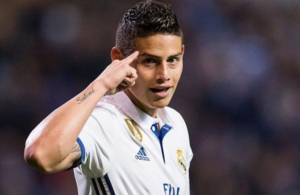 James Rodriguez suited this strategy perfectly and on July 21 he became one of the most expensive signings in football history when he formally became a Real Madrid player; the galatico signing to rival Suarez at Barcelona. The €40 million transfer fee paid by Monaco to acquire James from Porto last season more than doubled in the Real deal and the fanfare generated by his arrival has almost rendered Toni Kroos the forgotten man of Madrid. But while the acquisition of James has certainly succeeded in firing a fresh energy and intrigue into the atmosphere surrounding Real this summer, it poses a difficult tactical dilemma for Carlo Ancelotti to overcome and places real question marks over the future of Di Maria in this transfer window. Di Maria was close to leaving Madrid last summer only for Ancelotti to intervene and agree with Pérez that it should be Ozil who makes way for Bale instead. The Argentinian was outstanding in his deeper, more-central berth last time out and kept Isco far from the starting XI for the majority of the campaign. The arrival of James, though, means that one of the Columbian, Di Maria, Bale, or Ronaldo will have to sit out, and one doubts that any of the players who commanded fees in excess of €80 million will start on the bench. 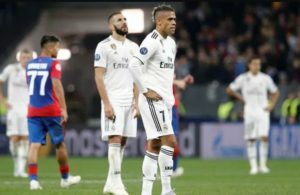 James will start behind Benzema in attack, Isco will likely be retained as back-up owing to his youth and the fact that he has only had one season in Madrid; and Di Maria, despite being one of the outstanding performers in the European game for the last twelve-months, is the man most likely to depart. The ilusión has come at some cost. Next Story → Is Toni Kroos the best Signing of this year?